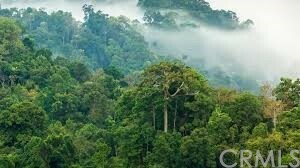 1.8 MILLION ACRES OF AMAZON RAIN FOREST IN BRAZIL. Property is located inside of an irregular triangle formed by two rivers: The ARIPUANA RIVER and the GUARIBA RIVER, Municipio NOVO ARIPUANA, Estado de AMAZONAS. Property can be used for CARBON CREDITS. 1720 trees per 1 (one) Hectaria (Based on government statistics). 20% of the trees can be harvested per year. $272,452 would be your approximate monthly principal and interest payment. This payment is based on a 30-year loan at a fixed rate of 4.12 % with a down payment of $6,250,000. Actual lender interest rates and loan programs may vary.